Anita specialises in nature-themed and whimsical designs. Her inspiration comes from the world around her. Specialising in pieces using real (ethically obtained) butterflies and insects and snake sheds (moults). 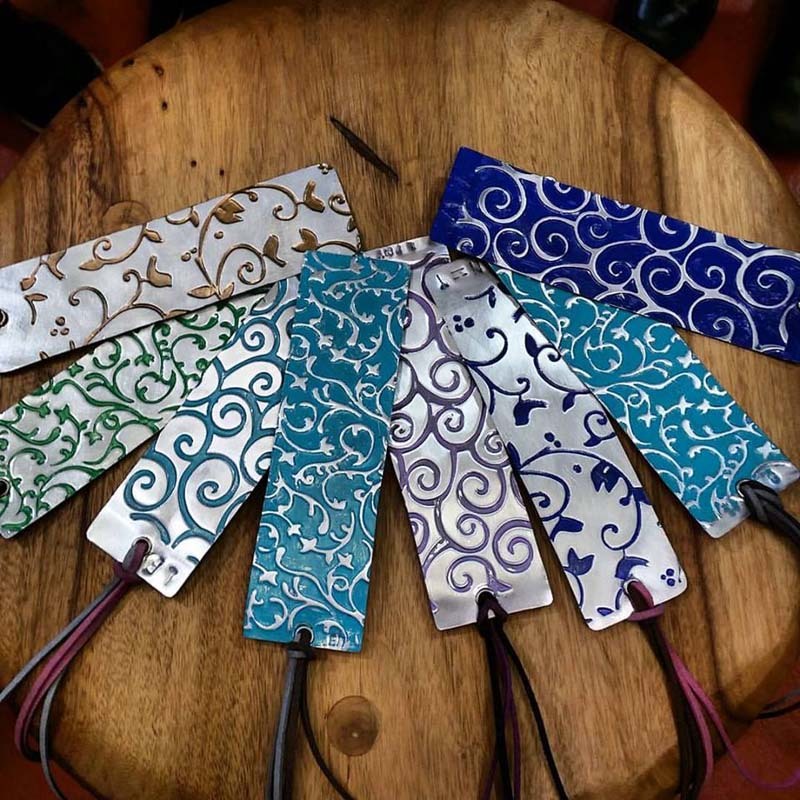 Make a bookmark or wrist cuff from aluminium when you learn skills like: how to cut, file and work with metal and press assorted designs into your piece. The same concept can be applied to up-cycling soft drink cans into wearable art jewellery. If time allows, you can also use these skills to create a pair of earrings or pendant with Nature’s Forge.